Throughout the 2017 season, we will attempt to figure out the greatest college football team of the past 25 years. 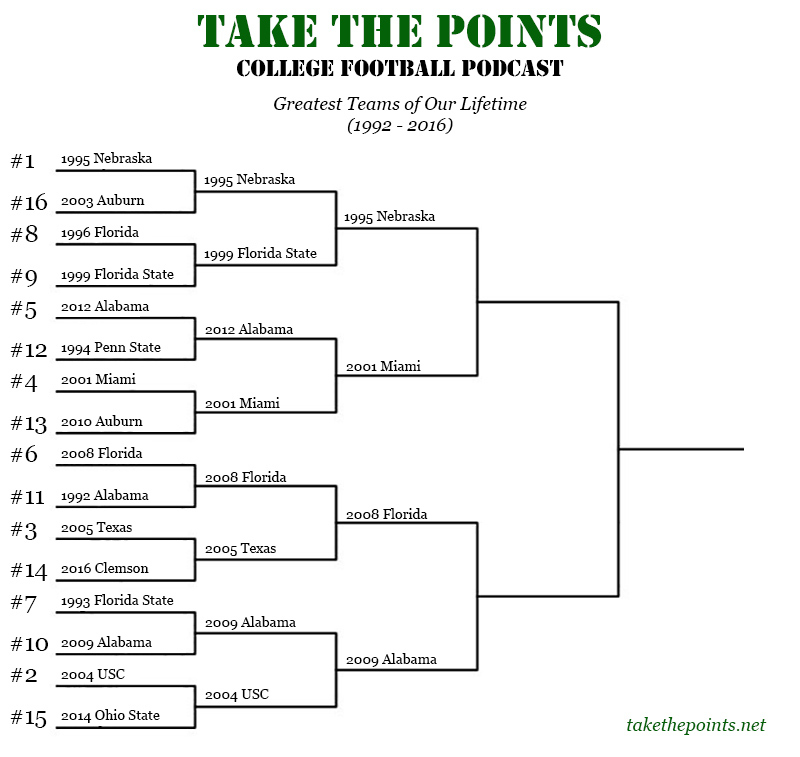 Each week, the last segment of our podcast will be dedicated to one of these hypothetical match-ups, with the winner advancing in our bracket. The Greatest Teams of Our Lifetime championship will be determined during our National Championship Game podcast in January. Visit the podcasts page and start with the 2017 season preview episode to listen from the beginning.